Opening a business bank account for UK company having non UK resident directors can be very challenging as all the main high street banks will require the directors or business owners that reside within the UK. Still we do have options no matter where in the world you live. All you need is just a basic documents package for the company and applicant, the person who will manage online account to comply with Anti-Money Laundering (AML) and Know Your Customer (KYC) international requirements. UK banks made it pretty easy to open a business bank account for UK residents. You can literally do it online. Yet for non-residents it became nearly impossible to open a full-functional UK business bank account. Still there are options for your UK company with non-resident directors to receive wire and card payments from your clients. Unfortunately, Worldcore for Business, the PSP we have recommended before failed to maintain the quality of service and functionality. Worldcore had major issues in 2017/2018 due to the contract termination with Rietumu bank, which was forced to change the business model and shrink their non-resident client base. As the result, Worldcore failed to provide any finance-related services, besides providing the wallets for BTC (Bitcoin) and ETH (Ethereum). Worldcore restarted prepaid card program in August 2018. We will keep you updated about the service status and quality. Skrill – we found it a total disaster in terms of customer service and service itself. Revolut for Business – very long onboarding process, customer support is not competent in UK corporate law, types of companies etc. Eventually they would open a pooled account for you with a general IBAN with Revolut defined as a beneficiary, unless you can provide a business bank statement and electricity bill as a proof of business presence in the UK (2018). As you are reading this post it is likely you don’t have a business account. Monese – does not offer business accounts. Great customer service, easy ID verification, professional. But they would block your current account if they suspect you are using it as a business. So we would definitely recommend Payoneer and Paysera as your online banking solution. Both above mentioned payment institutions allow you to open a business bank account for your UK company and then receive payments from your clients using Wire/ACH/SWIFT/SEPA transfers. Both providers offer you a Prepaid Mastercard and a bank account withdrawal options. Global Payment Service empowers you to grow your business and work with international clients and companies, without having to worry about how to get paid. You’ll get access to several receiving accounts in the US, EU, UK, and Japan, which enable you to receive local bank transfers from companies in these countries directly to your Payoneer account. Withdraw your funds at any time to your personal bank account or Payoneer Prepaid Mastercard. 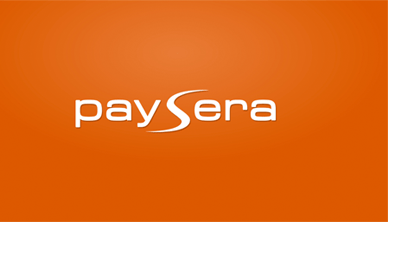 Paysera is an amazing traditional business banking alternative with high daily limits and what’s more important – sending capabilities! While Payoneer requires identity verification of company directors, Paysera requires the full list of beneficiaries as a part of their KYC. If that’s not a problem for you – you get a stable banking solution for receiving and sending SWIFT and SEPA payments with high daily limits, as well as Payment Processing solutions for your website. Paysera has joined SEPA INST in September 2018. From now on, clients of Paysera can transfer up to 15 000 EUR between the banks of 17 countries within 10 seconds, 24/7/365. How to receive bank transfers? Both services provide you with wiring instructions, however some transfer methods are not supported for particular currencies. With Payoneer you can only receive ACH payments for USD, SEPA for EUR and BACS/FPS for GBP. Once your account is approved for Payoneer Global Payment Service you are enabled to use your dedicated bank account details. For wire payments we’d recommend Paysera that also provide wiring instructions upon account confirmation. Paysera issues your dedicated IBAN for SEPA transfers inside EEA. 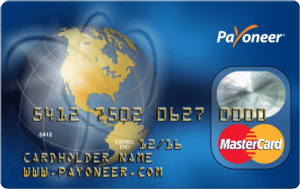 Who would benefit using Payoneer and Paysera services? As we have mentioned before, there are some minor limitations we’ve come across in terms of receiving wire payments. Applying for Payoneer + Paysera services would be a safe option though. Still, if you are looking for traditional business bank account for your company, we will be happy helping you to open one in Latvia, Estonia, Cyprus. Please note that opening a normal business bank account will require minor initial investments (up to 1500 EUR) and notarised and apostilled documents of your limited company.